Use the Integrated Help when you are unsure about what a certain menu item is or the function of a specific preference in the Preferences panel. From the top menu, select Windows > Integrated Help. 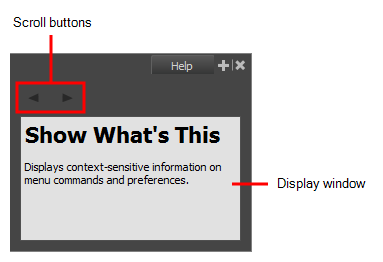 From any of the other views, click the Add View button and select Integrated Help.